Yesterday, after some digging, we were able to confirm that the internal codename for Google’s upcoming social project is “Emerald Sea“. Despite some confusion that it may be called “Emerald City“, it is definitely “Sea”, we’ve confirmed with several sources. But there’s more. As one of our sources told us yesterday, these codenames quickly evolve. And in fact, it now looks like Emerald Sea may already be a slightly older name. And Google may be close to picking the final name for the product. As of right now, we’re hearing it’s being called “Google +1” or “Google Plus One”. Our source on this wasn’t sure if this will end up being the final name, but it is definitely the one they’re using internally right now with the thought that it could be the final name. The “Plus One” name apparently is derived from some of the functionality of the project. In this case, you could think of “+1” as being Google’s version of the “Like” or “Retweet”. It also speaks to the the fact that you’re not doing something alone on the web. It’s social, get it? Another source suggests another possible name Google is considering: “@Google” or “At Google”. Yes, that would seem to be a total Twitter rip-off, but several other social services have since adopted the @reply syntax since Twitter made it popular a few years ago. 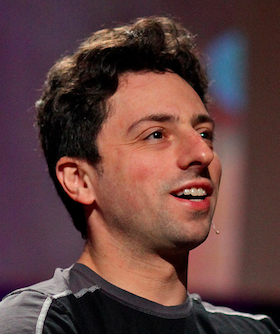 More interesting than the name though is who is said to be taking a very active role in the development: Sergey Brin. One source says that Google’s co-founder has moved the project to an area of the Googleplex called “Building 2000” (which is also home to a new Google campus store and a slide!) and that the area is now in a state of lock down as they prepare the project. Other sources suggest that “there is still a lot of grumbling” surrounding the project internally. This seems to sync up with previous reports of internal disagreement that has led to delays. As we first reported, Google VP Vic Gundotra has been leading the project, so it’s not clear how or if Brin’s hands-on involvement has altered that. In its current state, Google +1 is said to be a toolbar that appears across many of Google’s services. That is said to include their Chrome web browser. Though one source says they believe it will be a Chrome extension, rather than being fully baked into the browser — at least for now. And while +1 should start on Google properties, the idea would be get other sites to implement it too — perhaps like Facebook’s Like button and other social widgets. Google clearly really, really wants to get this social stuff right, this time. And to that, I say “+1”.